If you are a federal civilian employee, employed by the postal service, or in the U.S. military, please contribute to Feminists for Life via the Combined Federal Campaign. We are listed in the Women, Children, and Family Service Charities portion of the directory. 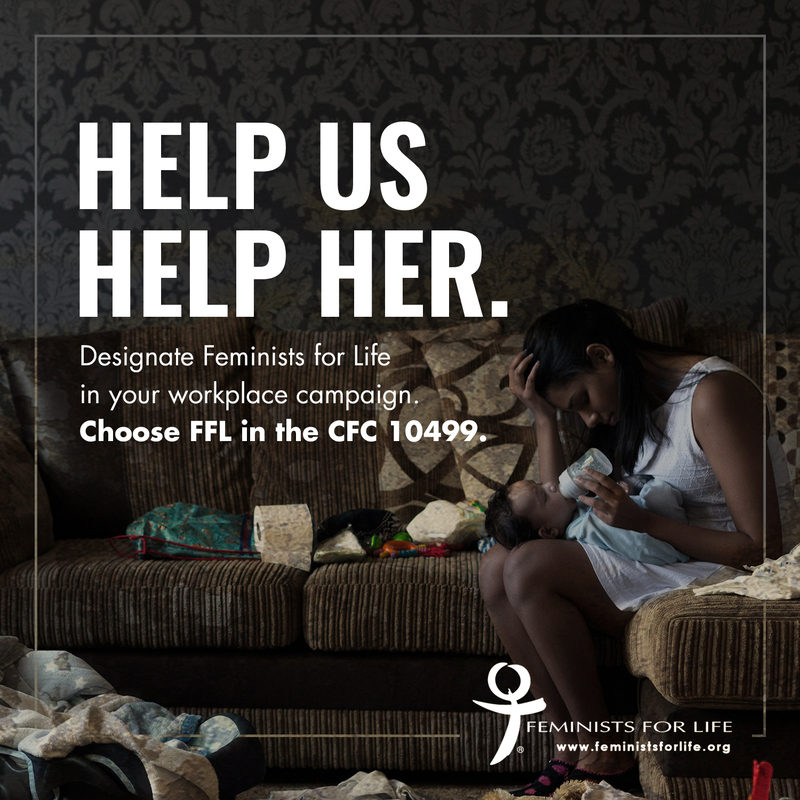 Feminists for Life’s CFC number is 10499. If your workplace participates in a different state or local campaign, you may also designate Feminists for Life by filling in FEMINISTS FOR LIFE OF AMERICA in a section for other charities not listed by the United Way. NOTE: You must designate FFL every year, or else your funds will be designated as the United Way wishes. Please ask your on-site campaign coordinator for more information. No matter which workplace campaign you participate in, please legibly print in your address and ALSO give permission to let us know of your generosity. We will not solicit you during the year, but we will send you a Welcome Kit! Our kit contains two issues of our biannual magazine, The American Feminist®, “First Wave Feminists: Remarkable Pro-life Feminists and Other Feminists You Should Know” and “Pro-Woman Answers to Pro-Choice Questions™,” plus our brochures, “Voices of Our Feminist Foremothers,” “You Have Better Choices,” and our informational brochure that explains what we do and why! In addition, you will receive an FFL bumper sticker and a year’s subscription to The American Feminist. Note that the time period between your donation and receiving a thank-you is often very slow. If you have made a gift, checked off the box to receive an acknowledgment of your one-time gift or ongoing pledge, and not heard from us by late summer the following year, please contact us at info@feministsforlife.org.